We get asked this question quite often on the dive boat. Normally while we are diving around Lembongan or Penida looking for the manta Rays or mola mola. Just after we tell people that is what they eat. “You know, plankton… the small stuff that filter feeders eat”. So it dawned on me that we should share a little more information with our dive buddies. After all, it’s one of the main sources of food on this little planet we call home. From Australia to somewhere beginning with the letter Z. It is in every ocean and every sea. It is in every body of water whether salt or fresh. A plaything of currents and tidal movements, it finds itself pushed around it’s watery habitat until something larger than itself eats it. That’s right… if you’re having a bad day, consider the life of plankton. A biological soup that is the basis for all marine life and a battleground of the minutia. How do I describe plankton? 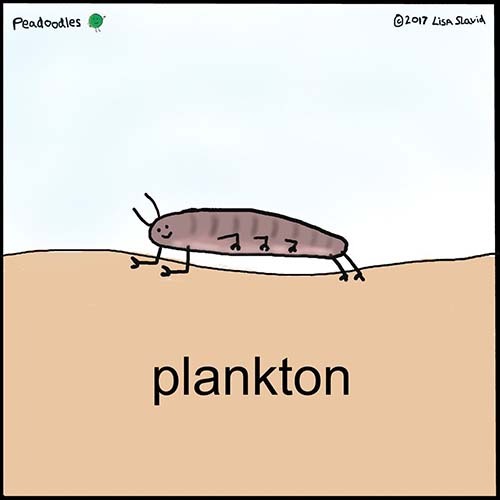 The funny thing about plankton is that it’s not actually a single thing. You can’t point at a single item and say, “There you go, that’s plankton” any more than you can point at a pinch of oregano and exclaim, “That is spaghetti bolognese”. It’s the grouping of lots of different plants and animals that we call plankton. Furthermore, it’s “living in the state of being pushed around by water currents” that makes the stuff plankton in the first place… If the creature grows into something that can swim independently in the water then it becomes nekton. Never heard of that word before, have you? You see, it was worth clicking on the link to have a read after all. Animals that stay as plankton for their life cycle are further classified as Meroplankton. 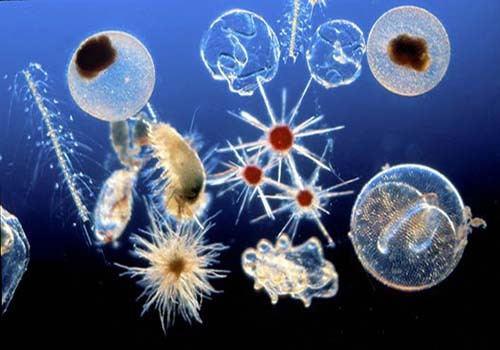 Whereas animals that only have a larval stage as plankton are known as Holoplankton, (such as sea stars, mussels and even spiny lobster like the picture at the top of the page)… Didn’t know there was so much to it did you? Coming from the Greek planktos, the singular form of the word, plankter, means “errant” or wanderer. We know that science can sometimes be a bit dull, but this is cool stuff… especially when you remember that whenever you get in a body of water, this is what you’ll be swimming in! You can think of phytoplankton as “plant stuff” that lives it the upper waters where it can be reached by direct sunlight. Chlorophyll filled organisms that get most, if not all of their nutrition from solar power. This makes them autotrophs, in other words they produce their own food. 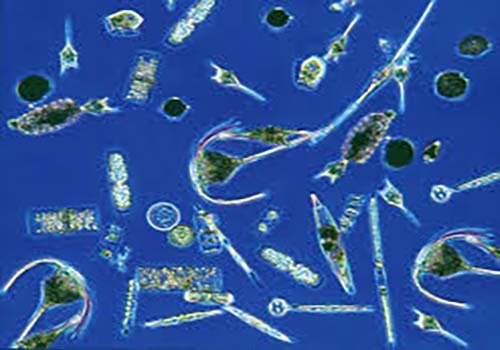 It’s no coincidence that most of the phytoplankton image in the image look rather greenish. Small “creatures” including shrimp, isopods and worms, through to larval stages of bigger animals such as lobster and jellyfish. 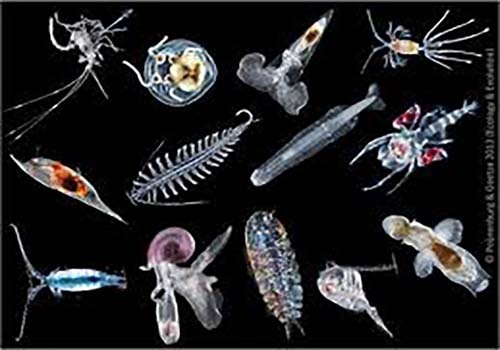 We’ll get more onto the different sizes of plankton a little later but for the moment just think of it as the stuff that eats the other stuff. Not even discovered until the 1970’s when scientists had the equipment to look at them, bacterioplankton makes up the largest part of the plankton “family”. 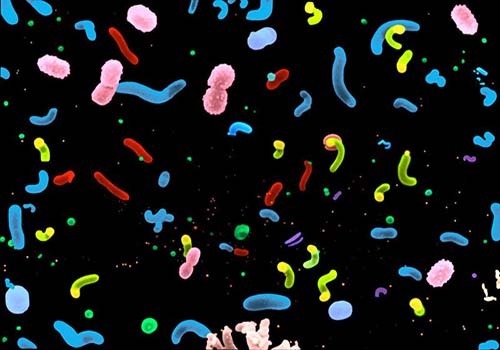 You can think of it as ocean living bacteria and there is a LOT of it. Look at it under a microscope and it’ll give you the willies! Estimates put the amount of Bacterioplankton to be 1,000,000 organisms per ml. 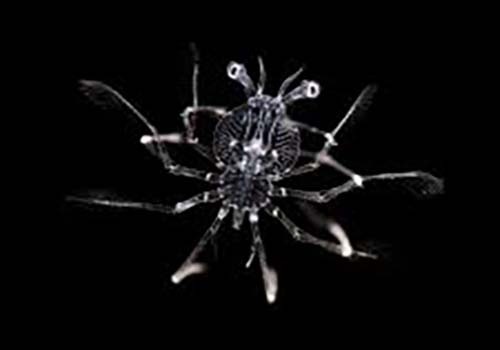 These tiny creatures are primary producers and primary consumers in their ecosystem and are preyed upon by Zooplankton. Microplankton measure between 20-200 micrometers. Interesting but sadly, not so relevant to scuba diving as the biggest of those is .2mm in size. It’s a pretty picture though don’t you think? Megaplankton, which measure over 200 millimeters (almost 8 inches) like jellyfish, ctenophores, and amphipods. Aquatic bodyguard, chief tank filler and biscuit dunker. accident (stumbleupon). I’ve saved it for later! © 2019 Siren Diving Lembongan. A PT Dive Resort International Company, All rights reserved.